Anyone who says Myrtle Beach and the Grand Strand is just a summer resort destination has never lived here. December has one of the Grand Strand’s busiest social calendars, and year-around residents look forward to and enjoy the cooler weather and smaller crowds. From great weather to tons of festive events and activities, there’s holiday cheer everywhere you look. And the bone-chilling cold and house-high snowdrifts are only a distant unpleasant memory or an almost unbelievable curiosity on the evening news. In December, the mild Myrtle Beach and Grand Strand weather averages about 60 degrees. And, at around 50 degrees, the ocean temperatures are a bit too chilly for most to spend time in the Atlantic. 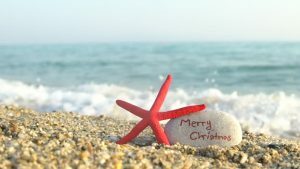 But many Grand Strand residents think the December weather is just about perfect for long afternoon beach walks or for bicycle rides around the neighborhood or around one of the area’s state parks. Myrtle Beach and Grand Strand hotels see fewer people during in December. The average hotel occupancy rate in December is only about 26%. That means fewer vacationers visiting your favorite shopping spots, restaurants, shows, and events. No long lines anywhere for anything. 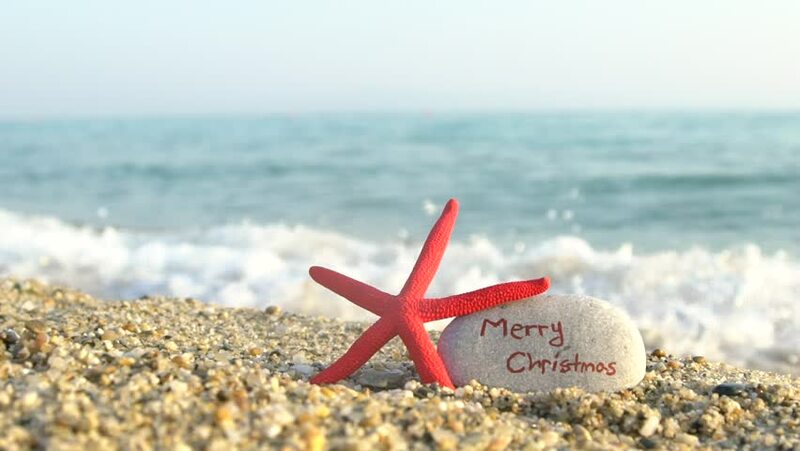 December is a great month to live in Myrtle Beach and along the Grand Strand. And the month of December is filled with a wide variety of holiday fun. Walk around Broadway at the Beach and enjoy the beautiful holiday decorations, or take a little drive south to Brookgreen Gardens for the breathtaking Night of a Thousand Candles. 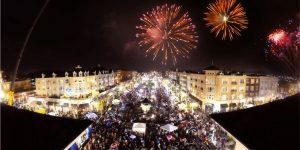 You can also check out fun holiday events like A Very Broadway Christmas-Holiday Tree Lighting at Broadway at the Beach, Holidays on the Boardwalk, Ripley’s Festival of Trees, Inlet Christmas Weekend, Holiday Bazaar at The Market Common, and tons of other things to do that will get you right in the holiday spirit. There are also several wonderful holiday shows at local theaters. Check out Alabama Theatre’s “The South’s Grandest Christmas Show,” The Carolina Opry Christmas Special, Legends in Concert Holiday Show and more! And did someone say Christmas shopping? 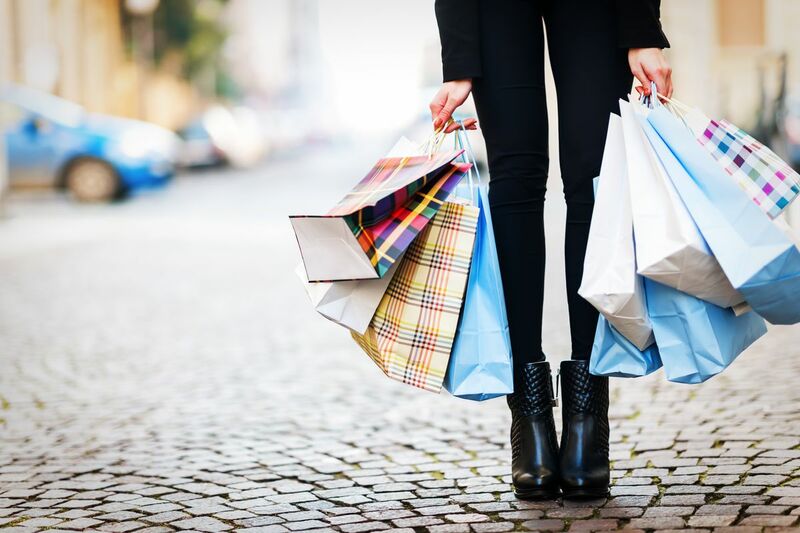 Myrtle Beach and the Grand Strand have always been known for its great shopping opportunities. Residents routinely take advantage of the awesome shops and malls in the area. The area is perfect for perusing stores for the perfect gifts, as well as choosing a few things that are perfect for yourself. It’s hard to even know where to begin. The area offers Coastal Grand Mall, Broadway at the Beach, Barefoot Landing, The Market Common, Inlet Square Mall, The Pawleys Island Hammock Shops, Coastal North Town Center, two locations of the Tanger Outlets, and more! 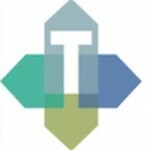 The Trembley Group Real Estate Professionals’ favorite shopping venue is The Market Common. Several months ago, The Trembley Group Real Estate moved its offices to the hub of Myrtle Beach and the Grand Strand, The Market Common. One of the perks of working in The Market Common is the fine dining and upscale shopping to be found here. Where else along the Grand Strand can holiday shoppers find the likes of a Southern Living Store, Pottery Barn, J Jill, Barnes & Noble, Victoria’s Secret, and Orvis? A discerning shopper is guaranteed to find something for everyone on the Christmas shopping list, maybe even a new home. For shoppers looking for something a little bit different for that someone special, don’t miss the Holiday Bazaar at The Market Common. It is very Saturday, November 3rd through December 15th along the Esplanade in the middle of Howard Avenue. The Bazaar is a festive holiday market featuring seasonal craft vendors offering produce, live greens, holiday gifts, baked good, crafts, fresh foods, and much more. The Holiday Bazaar will be held from 12 PM to 4 PM. Come out and support local business at the Holiday Bazaar at The Market Common. MarshWalk Wonderland of Lights makes for enchanting evenings on the MarshWalk through the New Year. To ring in the holiday season, the MarshWalk lights up like it never has before. Thousands of twinkling lights create tunnel ways guiding visitors through the MarshWalk and visitors can feast their eyes on each restaurant’s stunning light displays. We know down at the MarshWalk Everyone knows that the best way to spread Christmas Cheer is by caroling for all to hear, and the MarshWalk features holiday music synced with the light displays. This is a not-to-be-missed event. 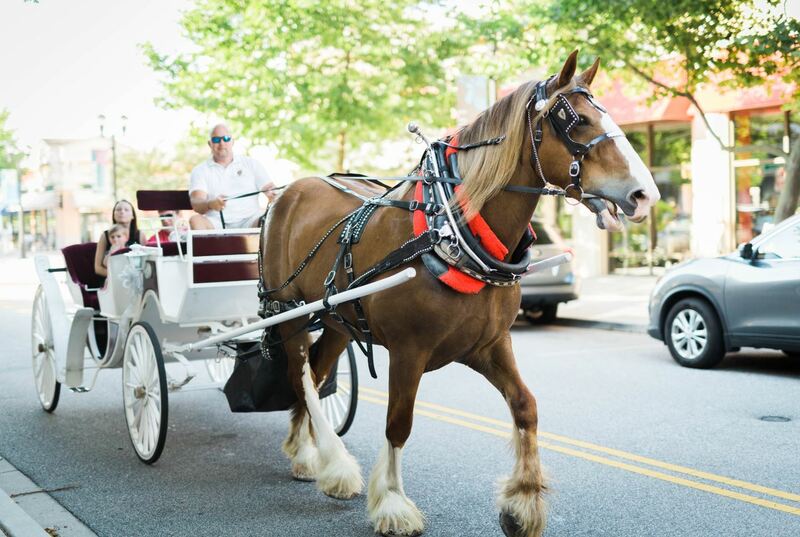 Take a break from all of the holiday shopping and treat yourself to a complimentary carriage ride. 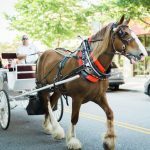 Each Saturday in December from 3 PM – 6 PM prior to Christmas, shoppers can enjoy a complimentary and leisurely carriage ride through The Market Common. Thpickupup and drop off is in front of Dolce Lusso Salon at the corner of Howard Avenue and Nevers Street. Enjoy the magical atmosphere of the season with a carriage ride through The Market Common. Each evening at 5:15 PM, from December 2nd to 9th, gather for the Lighting of the Menorah. Rabbi David Weissman, Rabbi of Temple Shalom Of Myrtle Beach, will hold the service the first night. On December 3 (Second Night), Rabbi Ave Perets, of Temple Emanu-El, will light the Menorah. tree in front of the Grand 14 Cinema. Santa will be there from 6 PM to 8 PM every Tuesday and Thursday from December 4th to December 20th. The photos are complimentary (free)! Hundreds of children line up each year at The Market Common tree lighting to be photographed with this Saint Nick. If you miss that, this is an additional opportunity. Don’t have children? Bring Fido! Pets are welcome, too! If you can’t make it to one of the Sunday parades – fret not! Just head south to the quaint town of Surfside Beach and participate in their annual Saturday celebration. The parade begins at 2:00 and winds down Ocean Boulevard. The event will include lots of themed floats, walking groups, and an appearance from Santa himself! Come and see the annual Surfside Beach Christmas Parade. We have over 100 entries including floats and marching bands. The route is Ocean Boulevard from Melody Lane to Surfside Drive to Poplar Drive. Get there early to get a good spot. The Christmas Cantata is an annual tradition and for many the highlight of the holiday season. Church choirs from the North Myrtle Beach area join to create a musical program you will not soon forget. Tickets are required for admission and are available at the North Myrtle Beach Chamber of Commerce. Open to all ages Dates and times are December 1st at 3:30 PM and December 2nd at 3:30 PM & 6:30 PM. SQUARE! HTC will be streaming Times Square in NYC live beginning at 9 pm on our jumbo screen. The Market Common will have its very own mirror ball drop. And to top off this very special night there will be FIREWORKS at Midnight! The Market Common will once again feature TWO stages with live music! The New Year celebration will also have a beer garden with food vendors. While every age is more than welcome, a hand-stamp will be needed to purchase alcohol. CO Sushi, Crepe Creation Café, Gordon Biersch, King Street Grille, Nacho Hippo, P.F. Chang’s, Travinia Italian Kitchen, The Brass Tap, Tupelo Honey Cafe and Ultimate California Pizza will all be open but reservations are encouraged. Cold Stone Creamery and Peace, Love & Little Donuts will also be open to satisfy your sweet tooth. Folks interested in looking for a few after-Christmas bargains can check out the Market Common retailers. They’ll be open until 9 PM! We will have human statues, mimes, glass blower, face painters, glitter tattoos, and dancing in the streets! This is a family-friendly event with inflatables and games so bring all the kiddos! In addition to our parking lots, parking garages and street parking the lots at Crabtree Gym will be available for parking. The Market Common New Year’s celebration is free to the public. For safety reasons bags, large purses and backpacks are prohibited. Strollers are permitted and please put necessary items in a clear plastic storage bag.